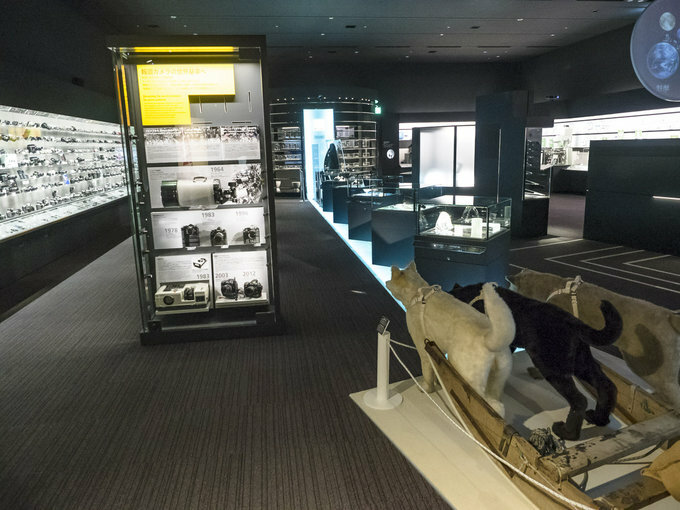 Along the glass cabinet, described in the previous chapter, are situated two other expositions. 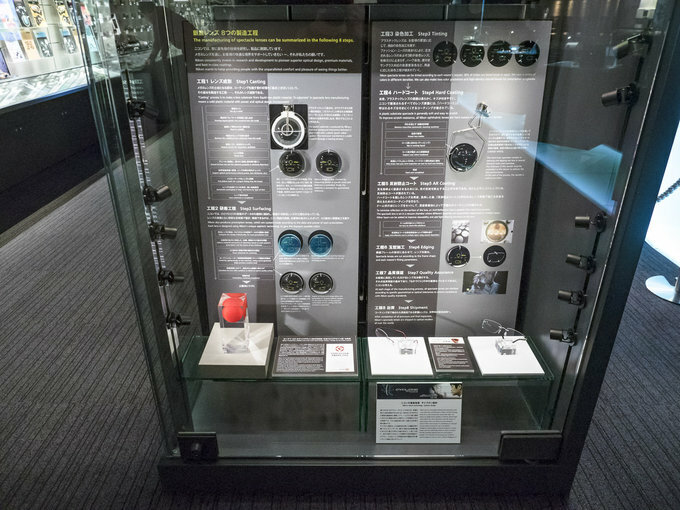 One of them is called “Feature Showcase” and it shows less known Nikon products; in that section you can also find information about camera designing and watch prototype cameras. 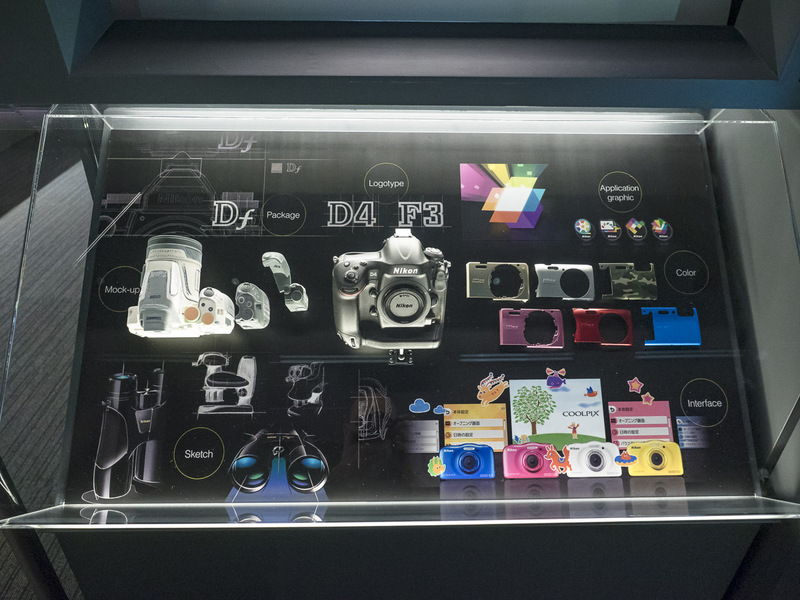 The first cabinet is dedicated to journalistic photography with information what kind of equipment a journalist might use. 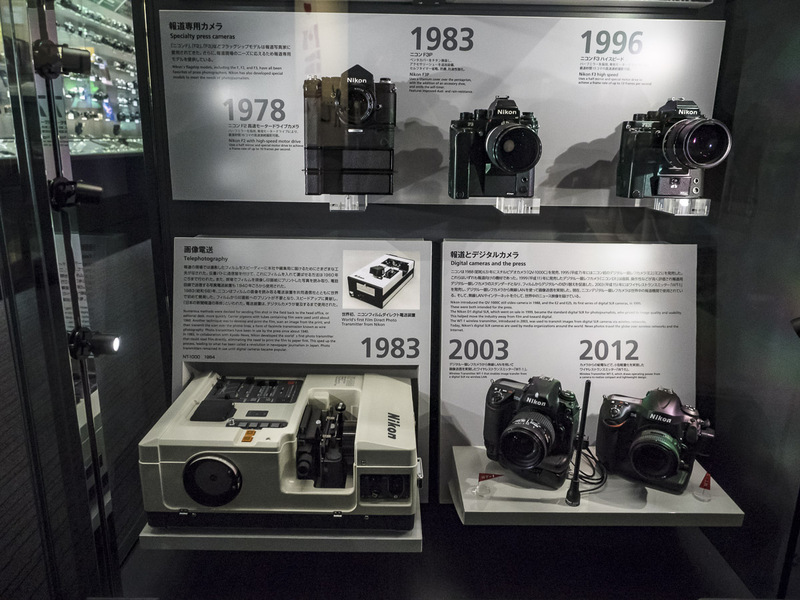 Nikon products have been employed by them only since 1959, with the launch of the Nikon F. In the 60s an NPS program was publicized but only digital cameras and cordless transmitters were able to revolutionize press photography. Believe it or not but even in the 50s homing pigeons were used to carry rolls of films to editorial offices. 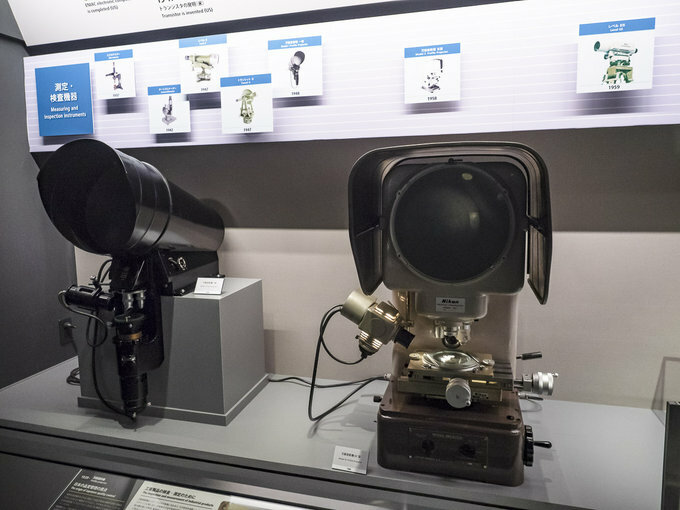 Then transmitters became widespread, allowing to send scans of photographs via a telephone line. 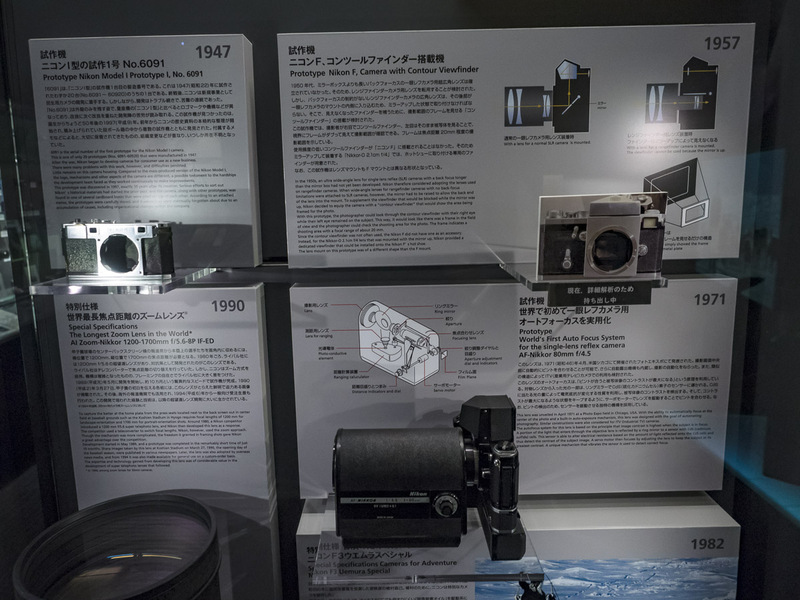 Unfortunately films still needed to be developed first and prints to be made. 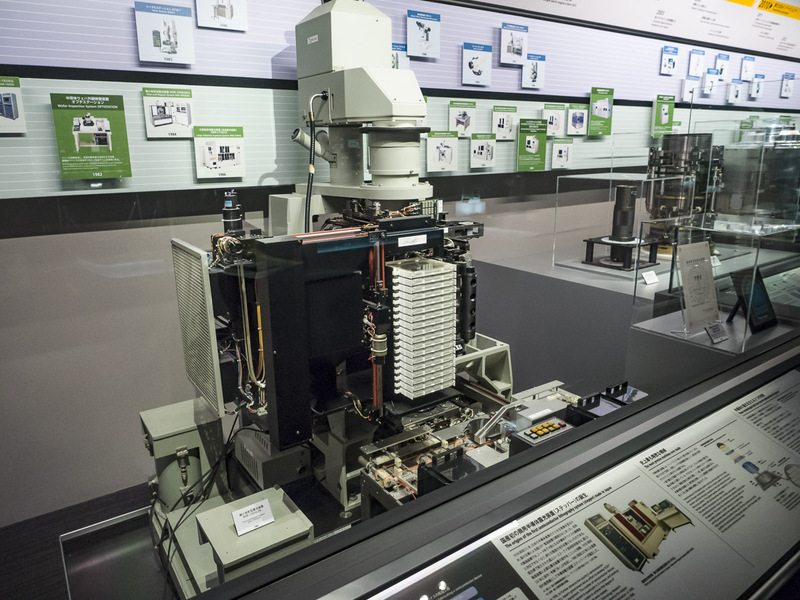 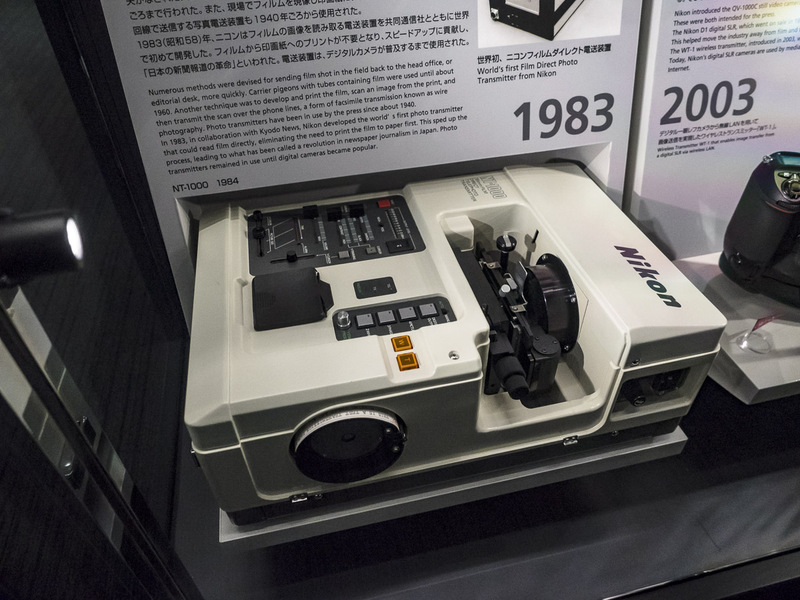 Only in 1983 Nikon, cooperating with Kyodo News, designed the first transmitter which could scan negatives and send photos without the need of making prints. 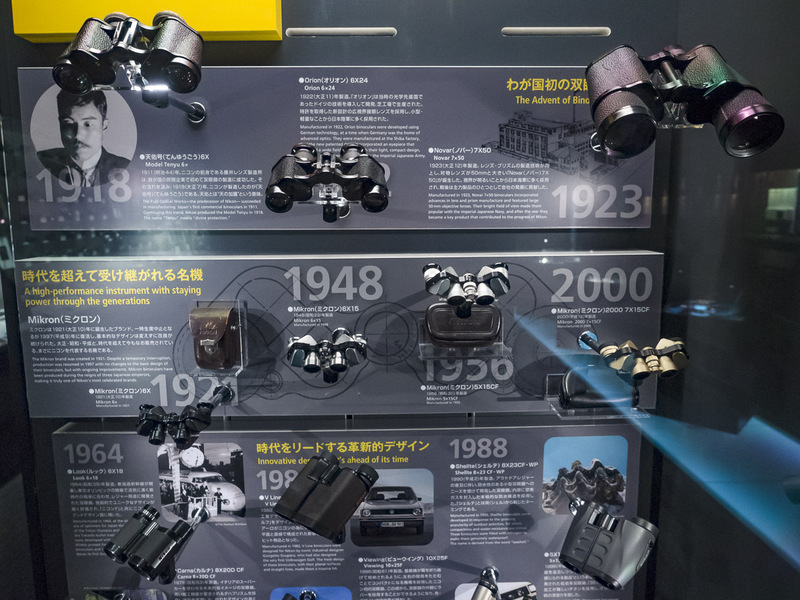 Another cabinet is dedicated to binoculars as their Nikon history reaches as far as 1918. 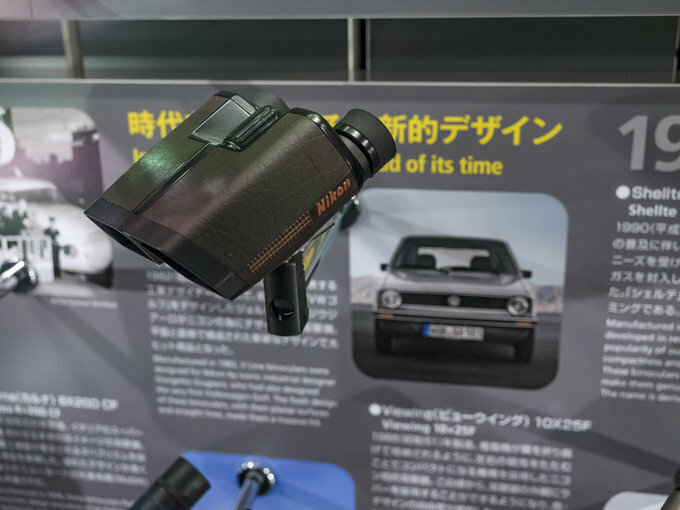 In that year the company’s line-up was enlarged by first pairs of binoculars, models offered previously by Fuji Lens belonging to two brothers, Ryuzo and Kozo Fuji. 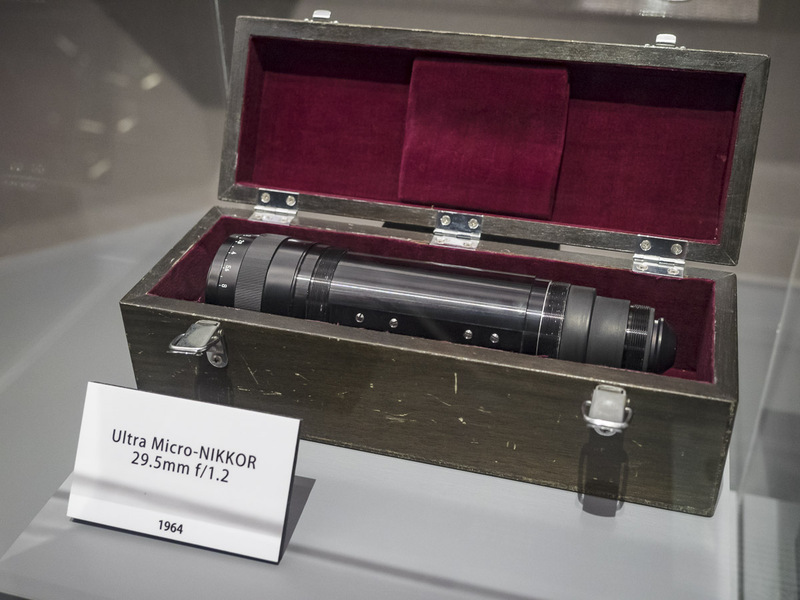 You see the 1922 Orion 6x24 model and the 1923 Novar 7x50. 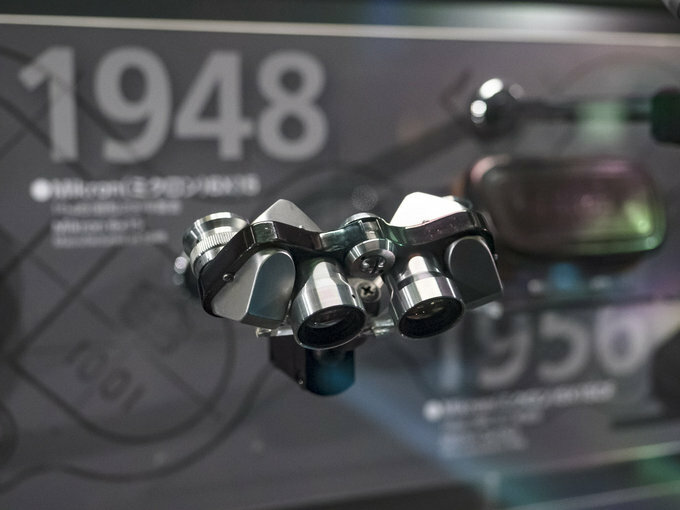 Below there’s a full array of Micron binoculars produced up to this day; their original shape hasn’t got old even a bit. 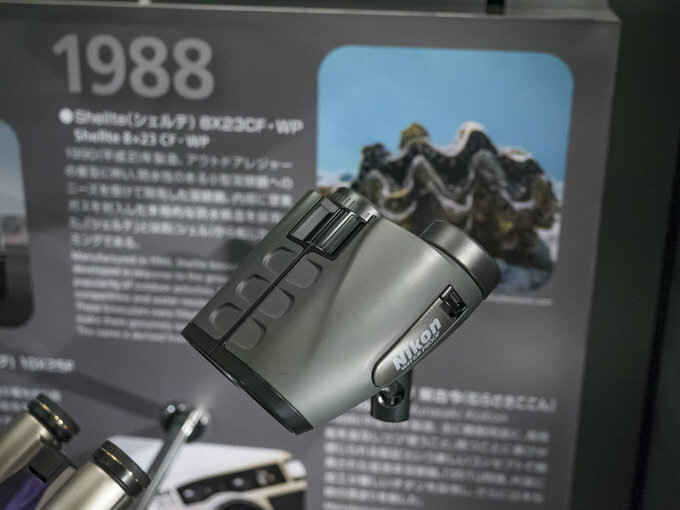 Even lower you find a board with small reverted Porro constructions and then first roof prism instruments which appeared in the 80s of the twentieth century. 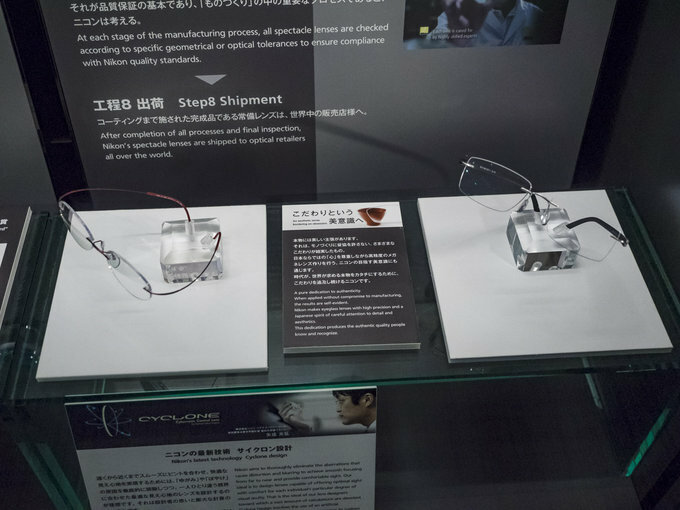 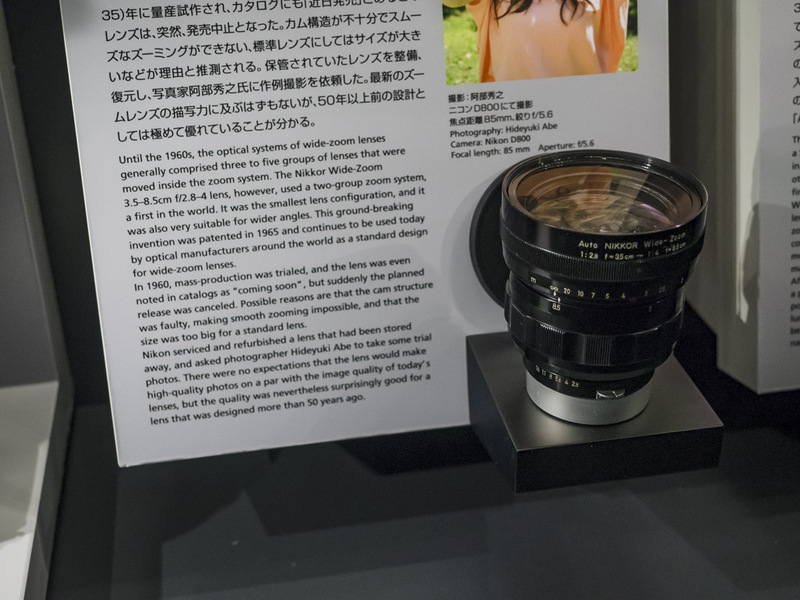 It seems Nikon also specializes in production of spectacles’ lenses. One cabinet shows the whole process of making them, step-by-step. 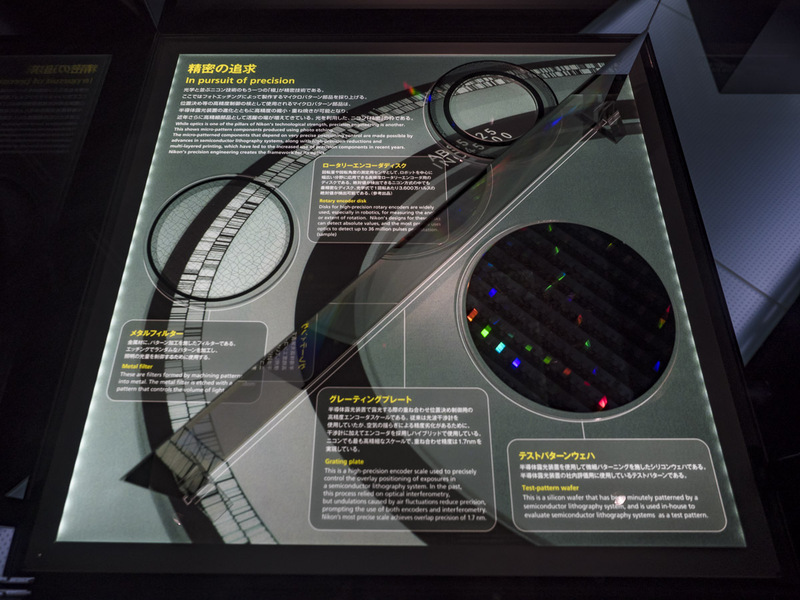 One part of the exposition includes the most important elements of camera designing process. 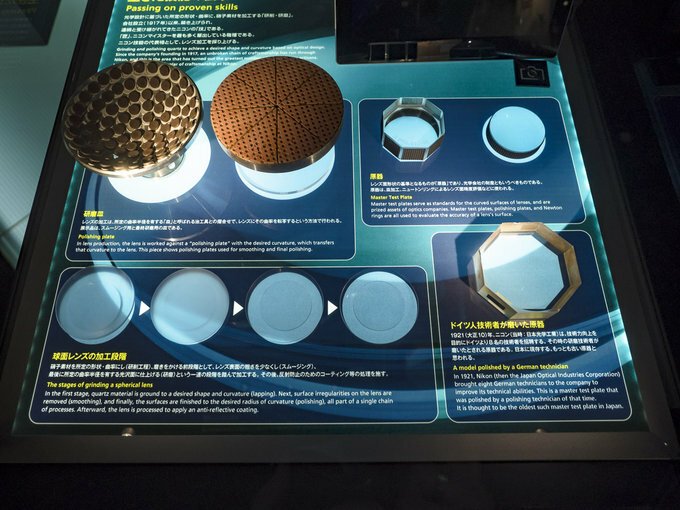 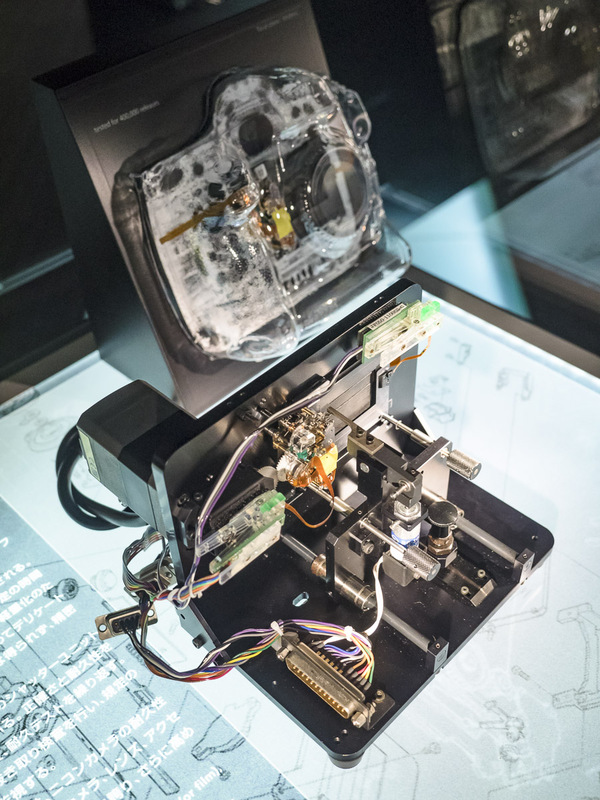 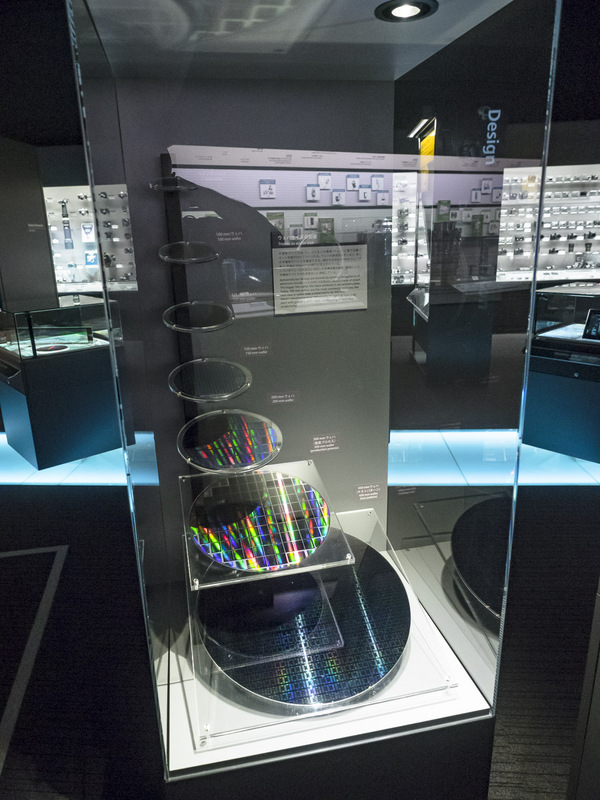 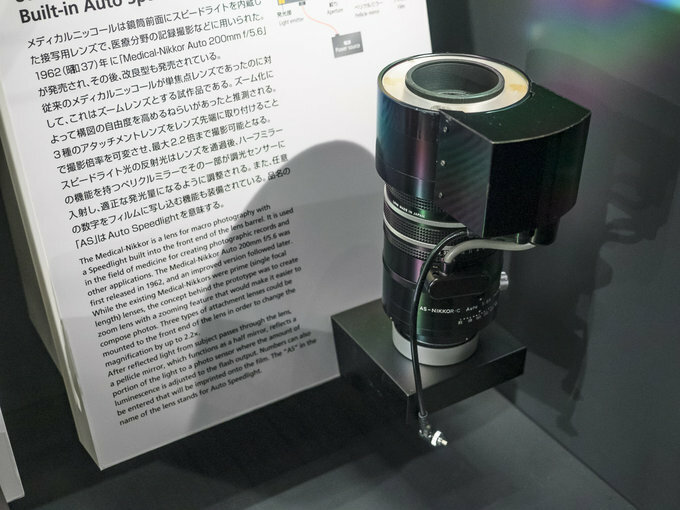 "In pursuit of precision" – shows that optics and camera are just one part of Nikon’s activity; they also create other high precision elements such as silica wafers or rotation discs used in stepping motors. 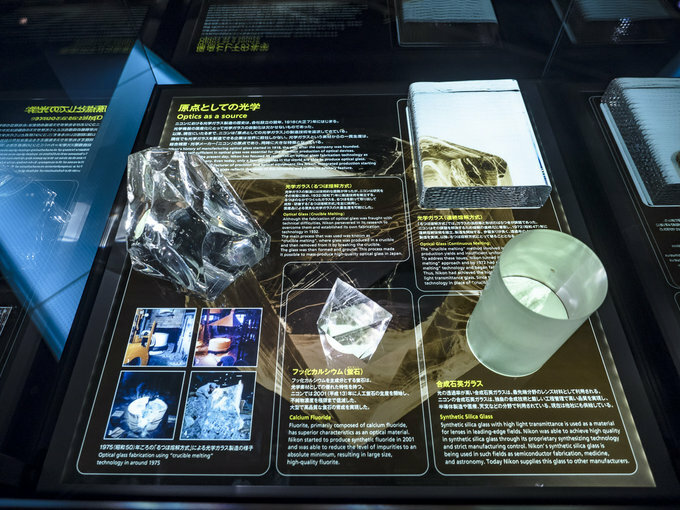 "Passing on proven skills" – a homage to all the artisans that have cooperated with the company over the years and honed their glass processing skills. 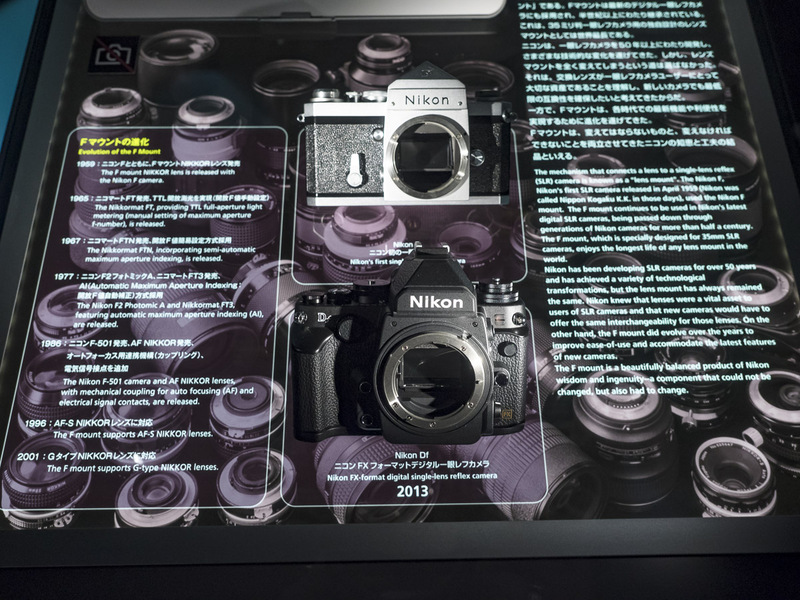 "Quality and reliability" – by presenting one of their testing tools Nikon proves they care about quality and reliability of their products. 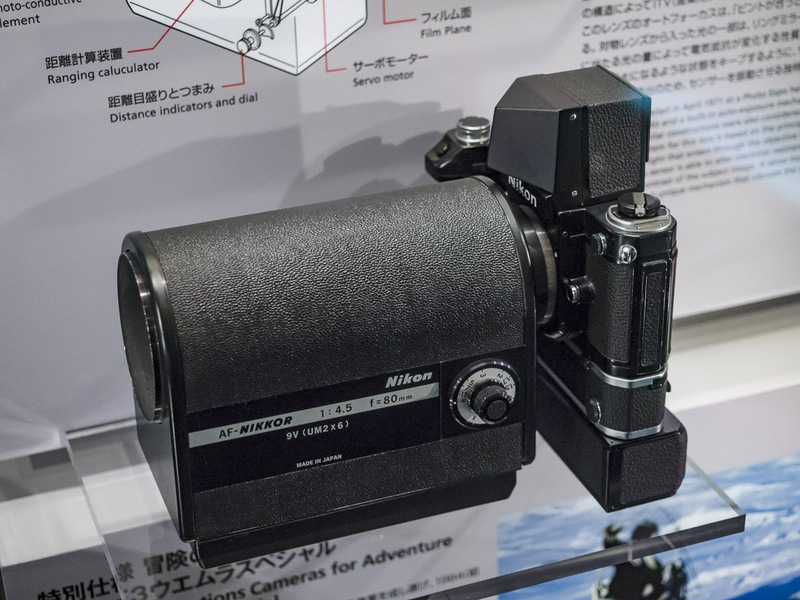 It is a set that tests the durability of a shutter for an advanced reflex camera. 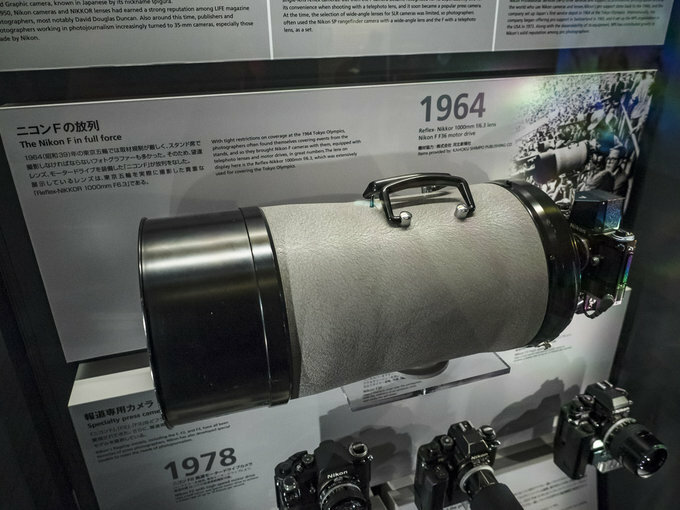 The shutter has to endure 400 000 of cycles to pass the test. 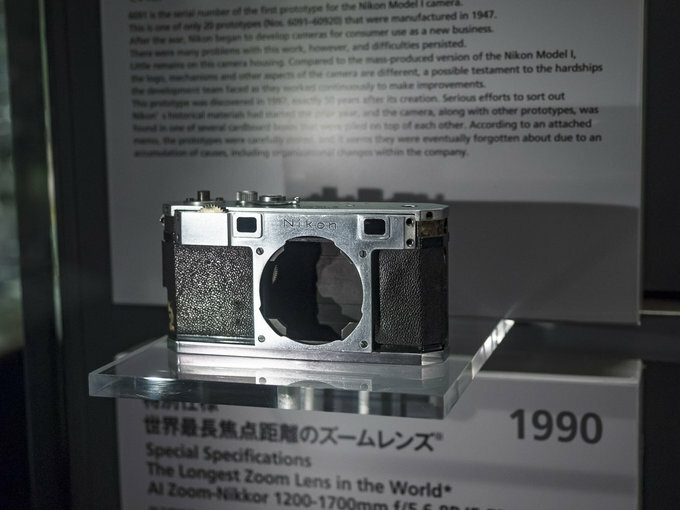 "Consistency and innovation" – these features are best emphasized by the F mount. It hasn’t been changed since 1959 ensuring the compatibility of the newest cameras with the older lenses even though a lot of changes have been introduced over the years in order to meet the contemporary users’ requirements. 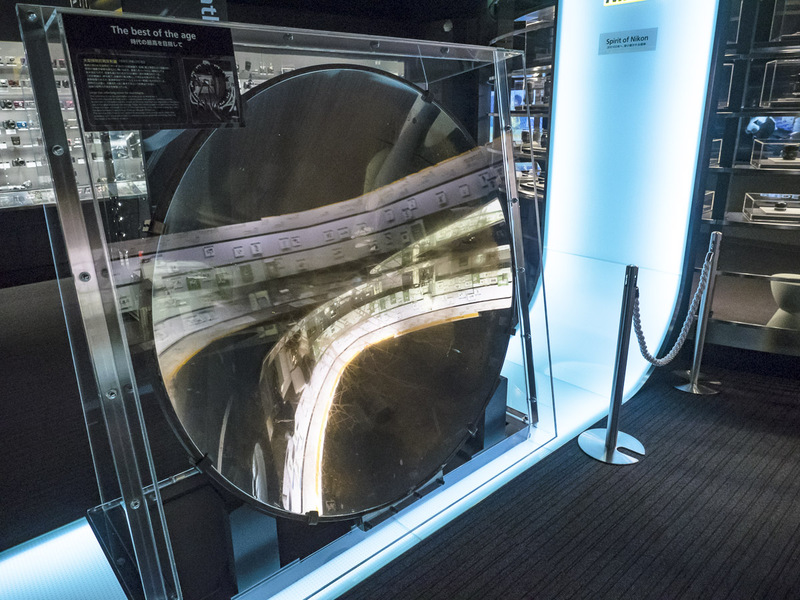 "The best of the age" – in this part you see a mirror 1.5 meters in diameter which was created in 1939 for huge searchlights on men-of-war. 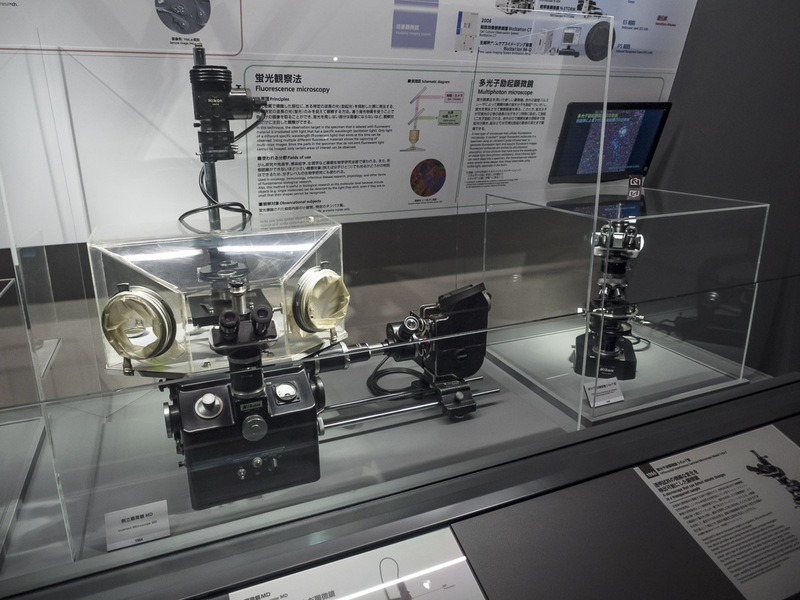 Now it is used for focusing rays of light in ecological solar stoves. 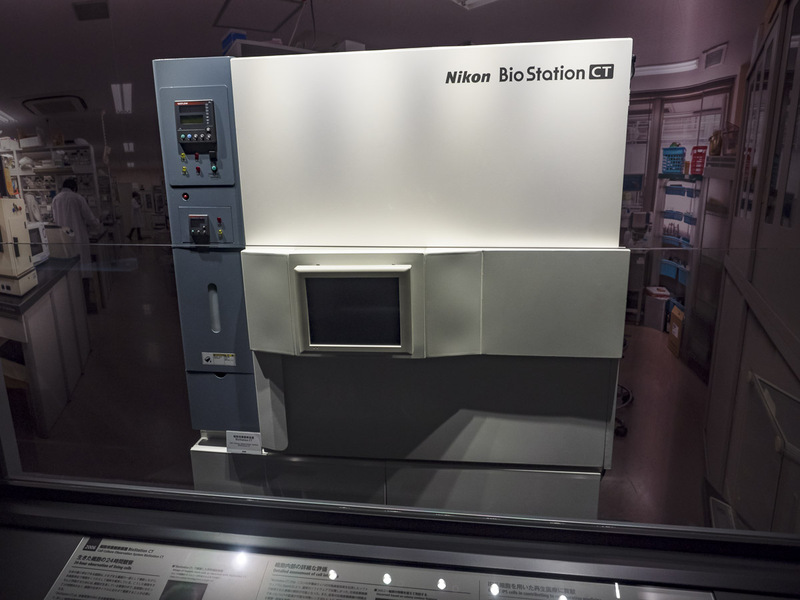 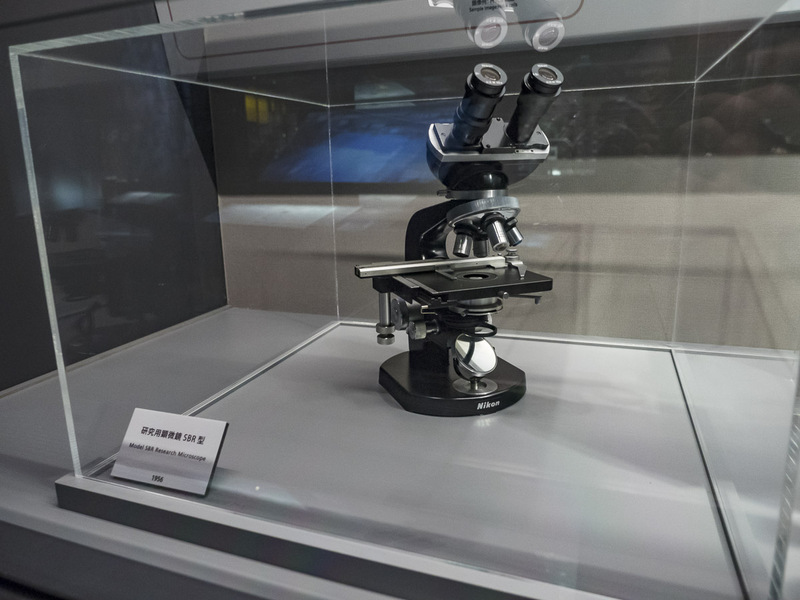 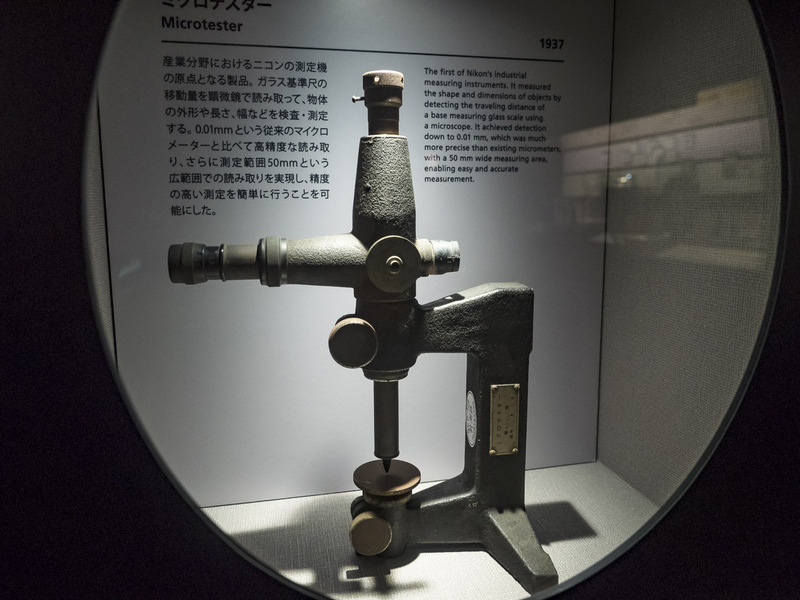 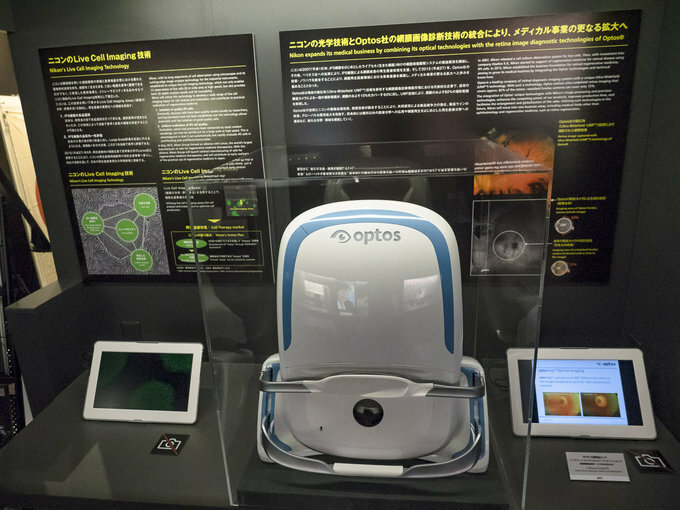 A significant part of the museum was dedicated to industrial and medical branches in which Nikon is active as well. 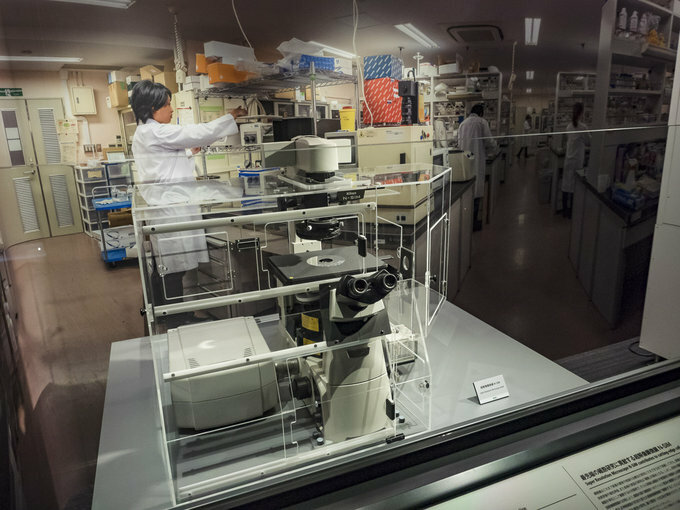 You can admire microscopes, precision measurement tools, lithographic machines, silica wafers or bio-stations used in medical laboratories. 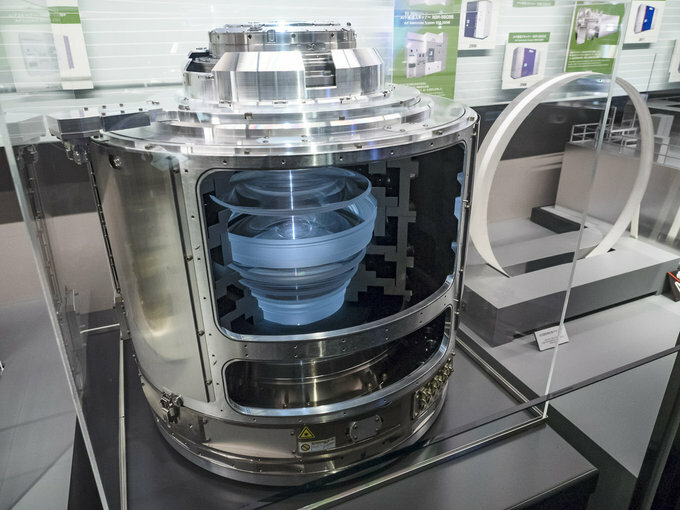 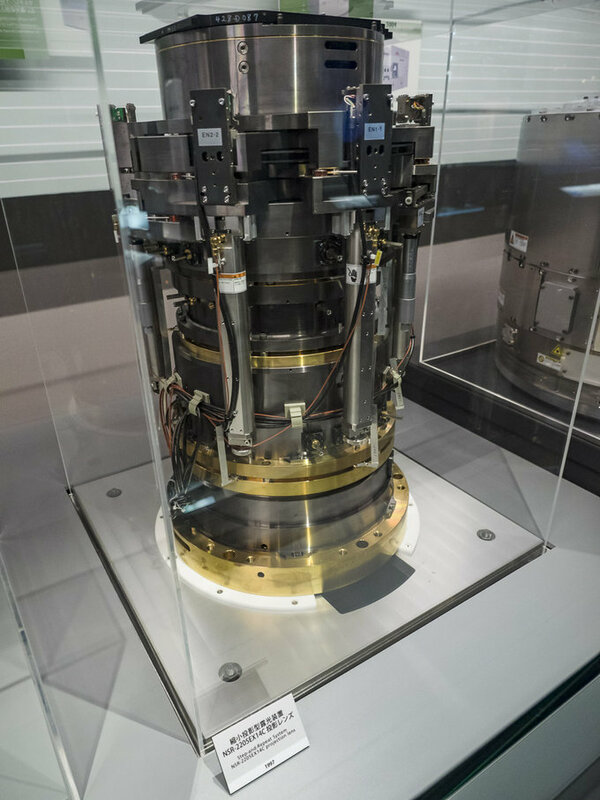 Still big projection lenses, used, among other things to expose semiconductor wafers, are perhaps the most impressive items. 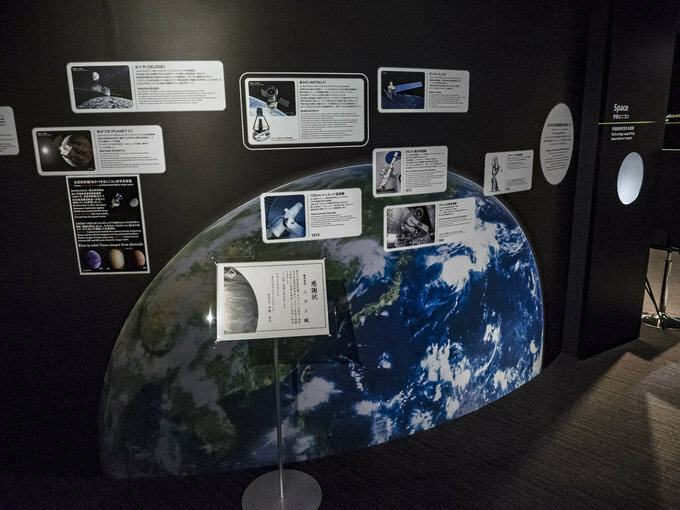 Near the end of the sightseeing tour you meet a wall entitled “Space” which emphasizes the engagement of Nikon in the conquering and research of outer space. The Nikon Museum is a very interesting place. 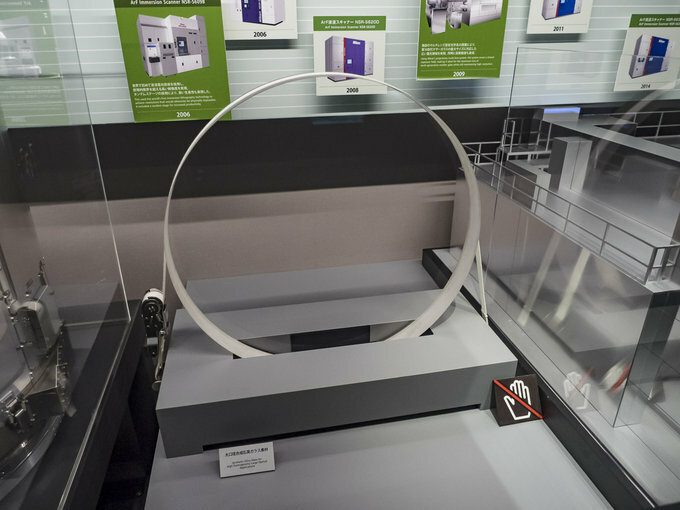 The number or exhibits makes a really strong impression and every presentation seems to be well-thought-out. 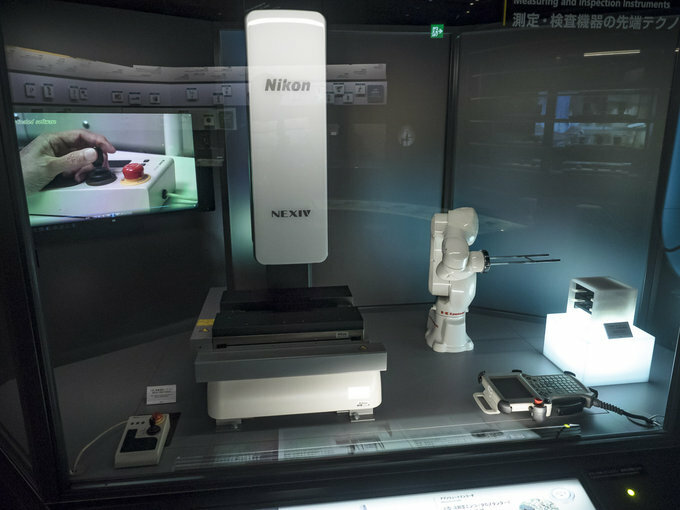 Even though there are a lot of multi-media accents straight from modern museums, fortunately Nikon didn’t forget about traditional exhibitions, making it for me personally a very enjoyable experience. 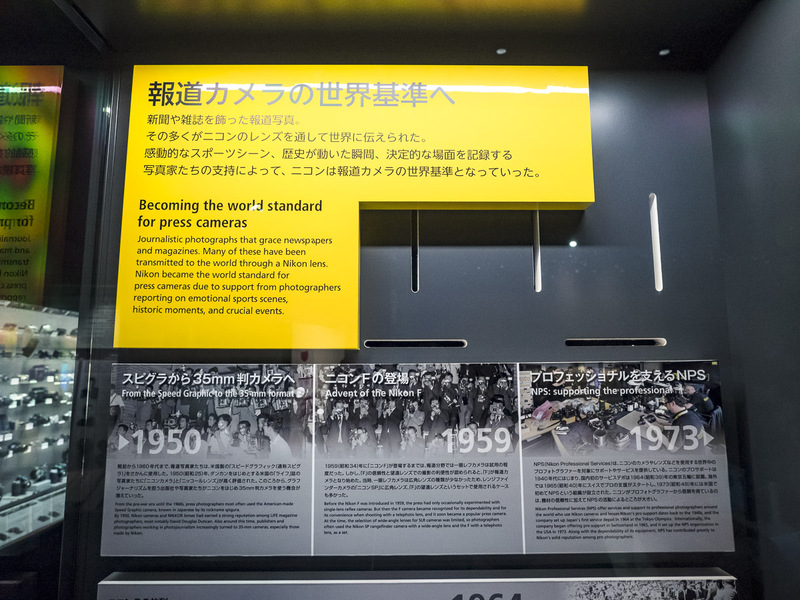 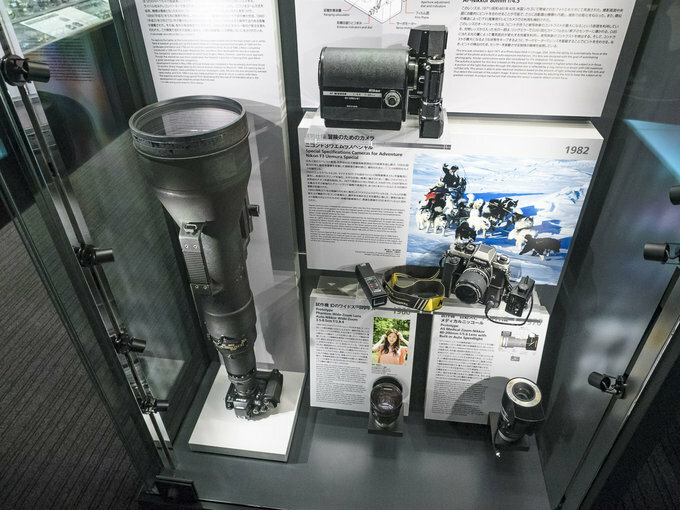 If you ever visit Japan and have some time to kill do go to Shinagawa to acquaint yourself with 100 years of Nikon history, you won’t be disappointed. You cannot plan such a trip? 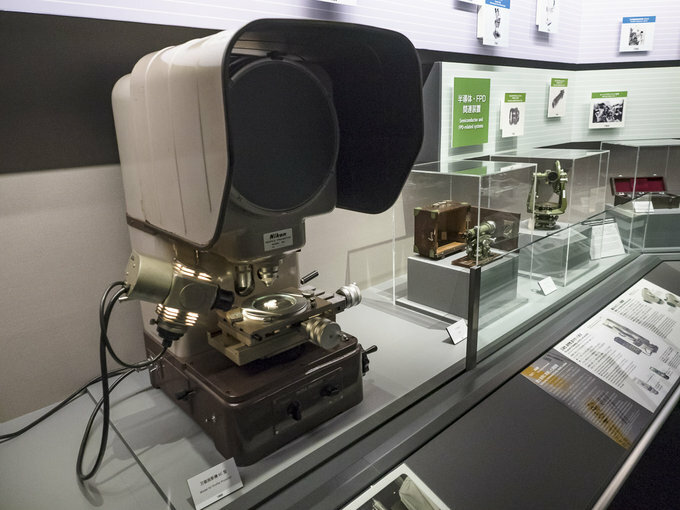 There’s a piece of good news: a virtual sightseeing trip round the Nikon Museum is being offered by Google Street View.